The town we came into last night was Manzinales. 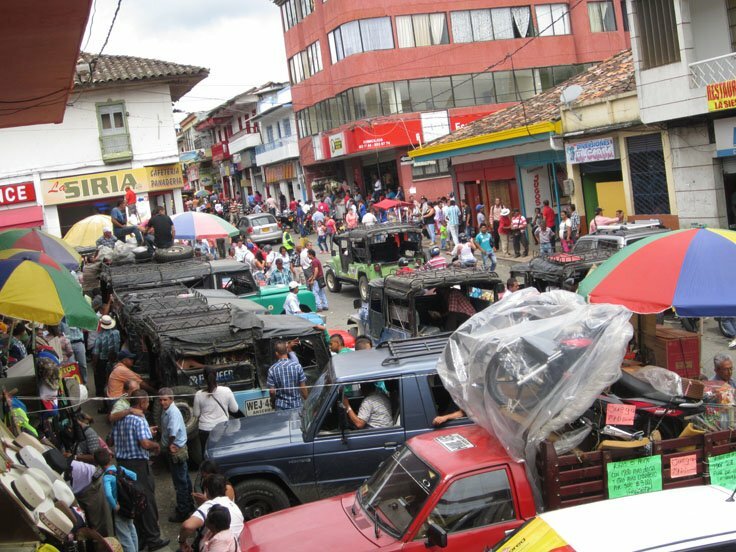 Once again I was taken aback by how widespread Columbian cities are. This one had sprawled for miles and thus had to be escaped. 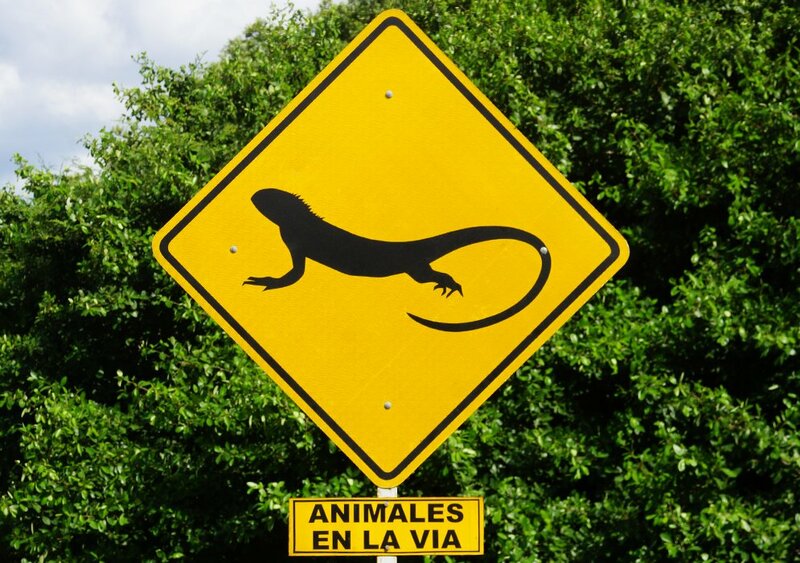 Now, rules of the road are slowly emerging. The roads appear to be at maximum capacity with vehicles of all varieties pushing for space. Lane discipline does not exist, each vehicle will try to steal a few moments advantage by finding a tiny gap; if a car is too big then the motor bikes wheel their way through without slowing; everyone joins the throng from any angle crossing and at will. It is most bizarre and in all this turmoil no one seems to get bumped nevermind blast on their horn or be annnoyed; everyone does it and expects it to happen to them so truly everyone seems to rub along together very nicely. Another very fine hot and sunny day and we get to the edge of town high up in thecentral Andean cordillera. Once again the views extend a vast distance until it all merges in the haze. This is the start of another descent and an absolute belter. 30 km or so of great tarmac, clear vision and perfect weather. No photos to speak of – there a few wonderful bridges over ravines which just emphasise the wondrous landscape but it’s too much fun and not really safe to stop on the roadside. 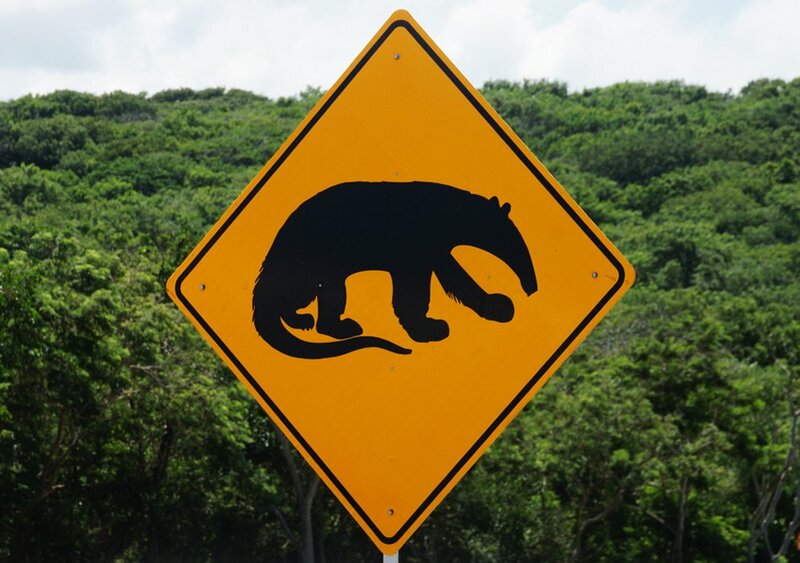 There some unexpected, to the European at least, road signs warning of Anteaters and iguanas crossing the highway. 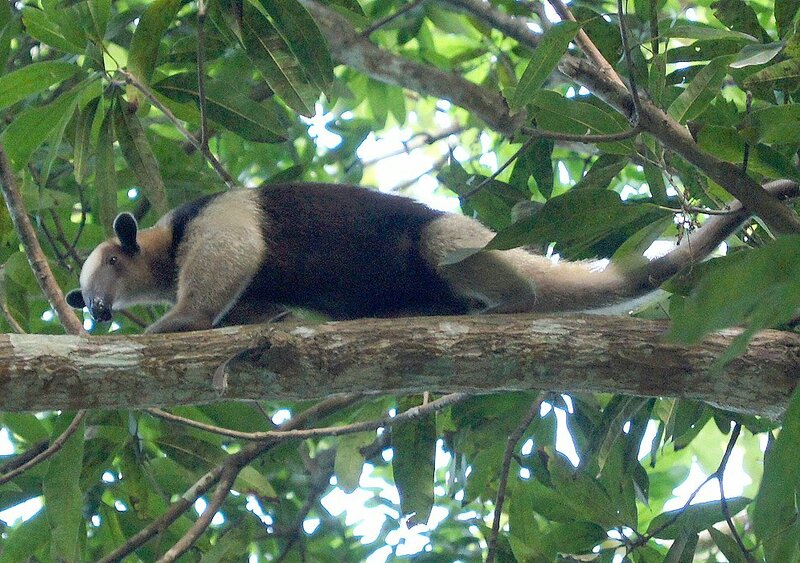 I’ve not seen a live anteater but it should look someting like this. Unfortunately the only one I’ve come across was long dead and was smelt before being seen. 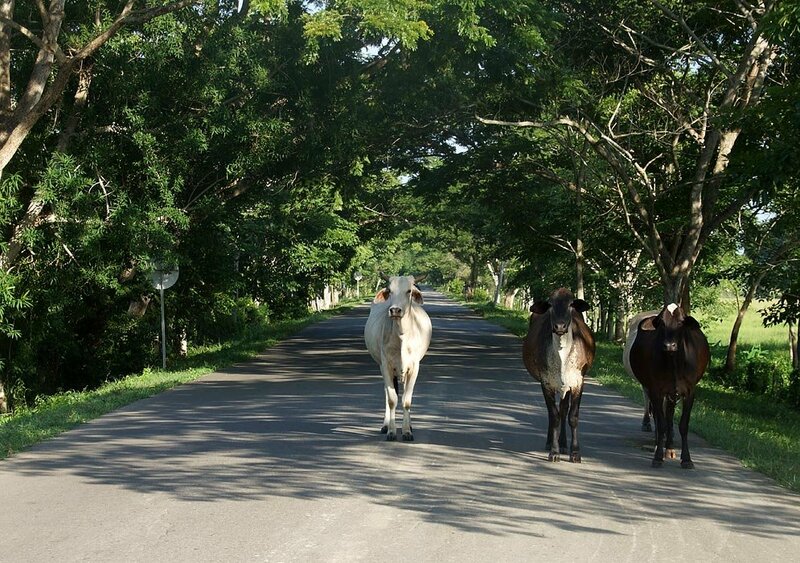 Cattle though are another unexpcted traffic calming method. So we reach the Cauca River, another sludgy brown affair. 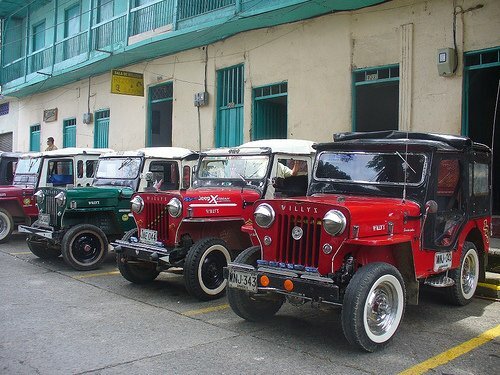 For a few days now we’ve been passed by many a highly decorated Jeep, belching black fumes and usually with people hanging off the back. They’re clearly a cheap and useful way of moving people and goods around the villages high on the valley sides. Not so easy to take a picture on the move though. For every road that descends there is another that climbs. I will keep saying it. This riding is consistently interesting with more and more things to be seen. So many trying to eke a living out of the obvious abundance of nature here-abouts with stalls large and pitifully small. So we climb steeply into Anserma, not a hill top town but a town running along the crest of the ridge at the top of the Western cordillera – were still crossing the Andes. 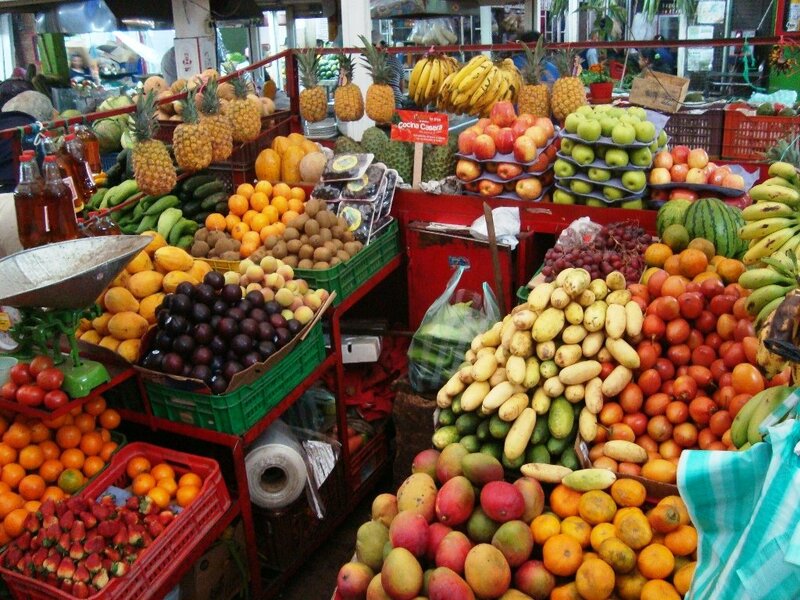 Anserma seems to be a distillation of all things Columbian. A chaotic vibrancy of everything that a community needs all packed in a higgledy piggledy random mix of the new, old and ancient if not decepit. The place feels like it’s in perpetual motion – even in the morning when the bell ringer must be on something to be that deranged. A great place to walk around – every shop you’d need, kids practising gymnastics on the concrete square beside the trick cyclists, more vast empty churches, funeral parlour still in action at 11.00 pm. Can’t produce a decent veggie meal but we survive. What a recovery day. 70 km and still with 1836 metres of climbing. Time to sleep in another box room with cold and cold running water. Honestly, it is this bonkers.